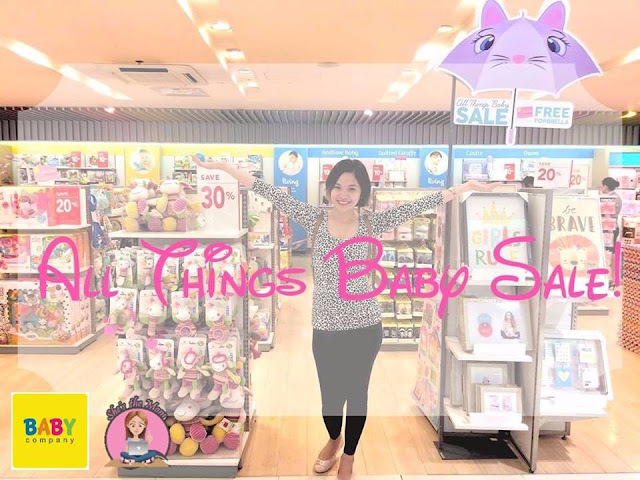 Baby Company, our to-go-to "All Things Baby Shop" is once more having an "All Things Baby Sale" this whole month of July! 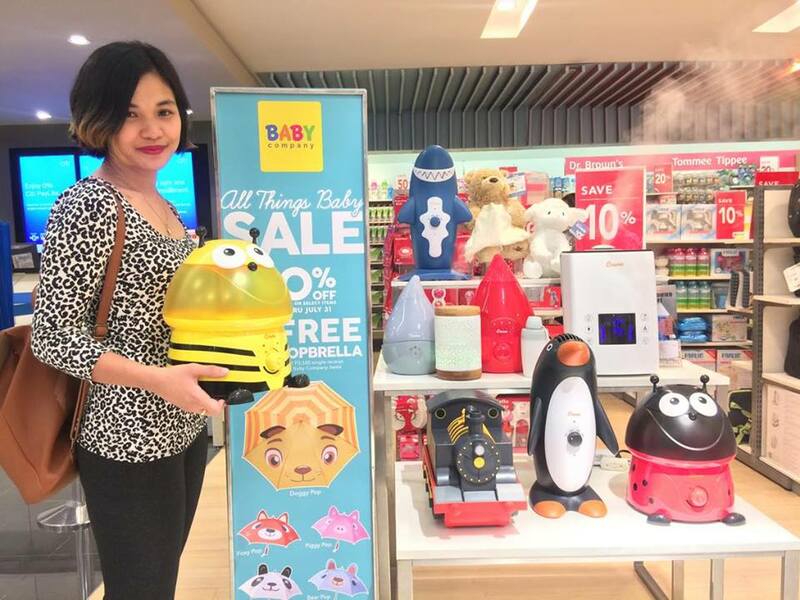 Nowadays, mommies are now getting wiser and practical when it comes to spending. So surely, mommies and expectant mommies are very excited about this. 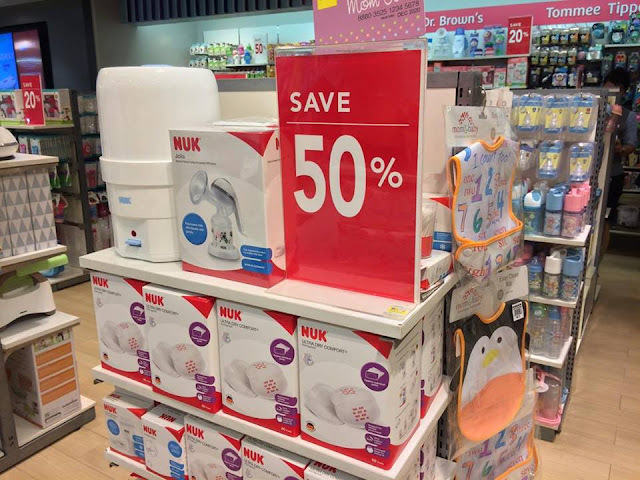 Who wouldn't be, when you can score up to 50% off on select baby items across all item categories! 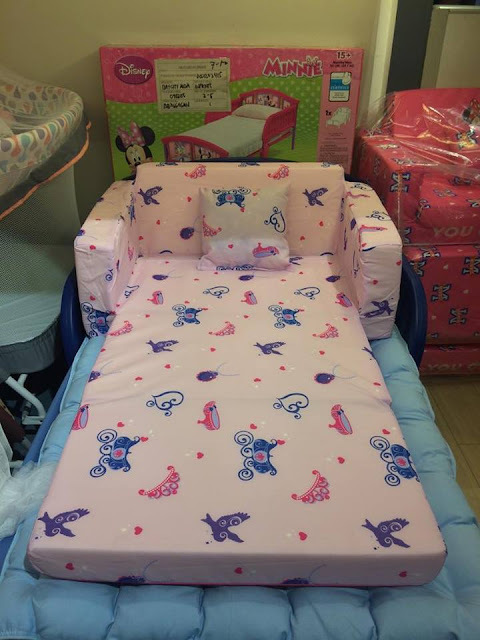 Brianna, our youngest is already 3 years old but I got excited upon hearing about the sale because I was able to score good deals at the All Things Baby Sale last March, not just for her but for my godchildren as well. 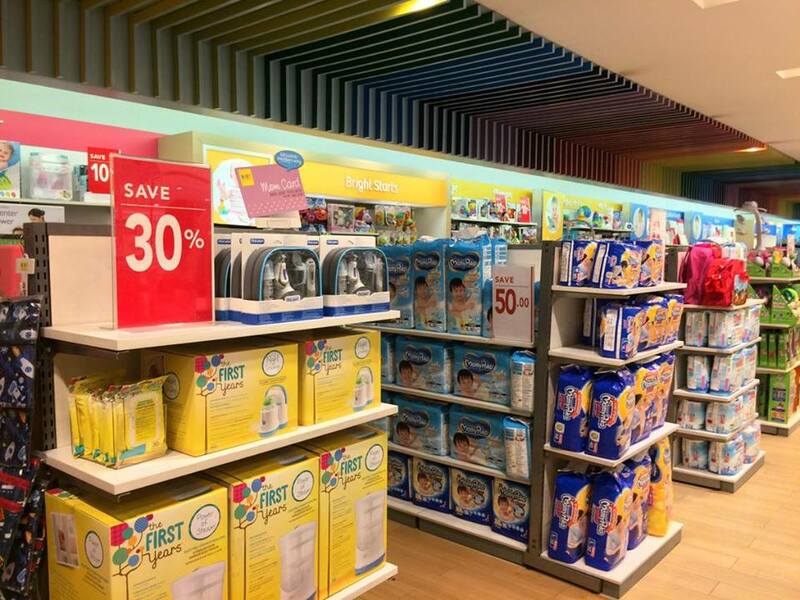 So last Sunday, before going to work, Jaear and I went to SM Mall Of Asia and dropped by at Baby Company to check. 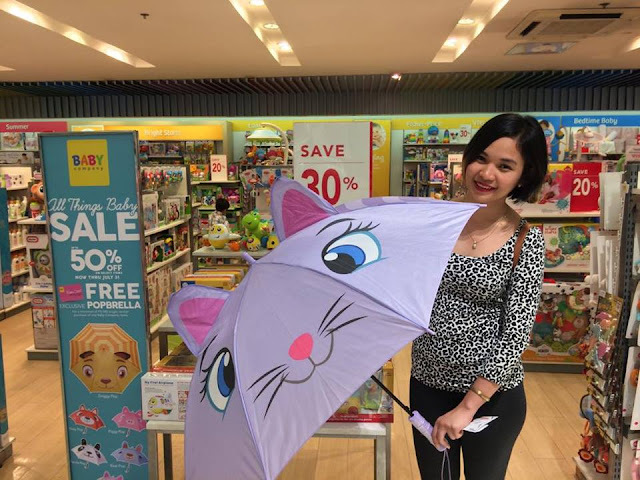 Ber-months is fast approaching which could mean, gifting season, so as early as now might as well take advantage of every promotion there is to save money, time and to save me from any hassle. Besides, I have a lot of mommy friends, relatives, and godchildren so it's better to be prepared, right? Haha! I really wanted to take Brianna shopping with me just like last time. However, she and Athena just recently got discharged from the hospital. Wednesday and Thursday are my off from work but they got classes so I really couldn't find a perfect timing just yet. Seriously, I feel so busy ever since I started working again and not to mention, I'm in mid-shift (3PM-12MN). Anyway, let me share with you the things that really caught my attention during our visit. It's the rainy season, time to hoard some socks to keep your babies teeny tiny toes warm! 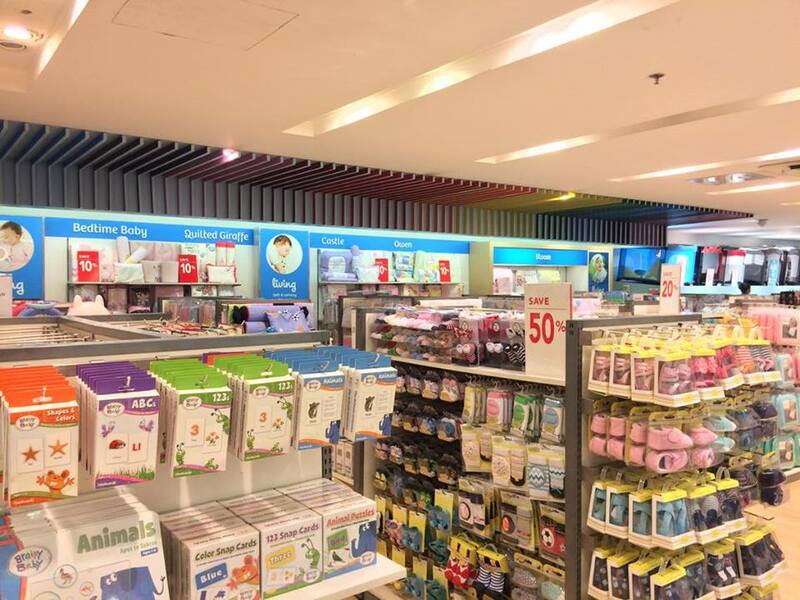 Baby socks and shoes at 50% off! Far behind, 10% off on bedtime essentials. 50% off on Nuk sterilizer, breast pump and breast pads for the mommies. 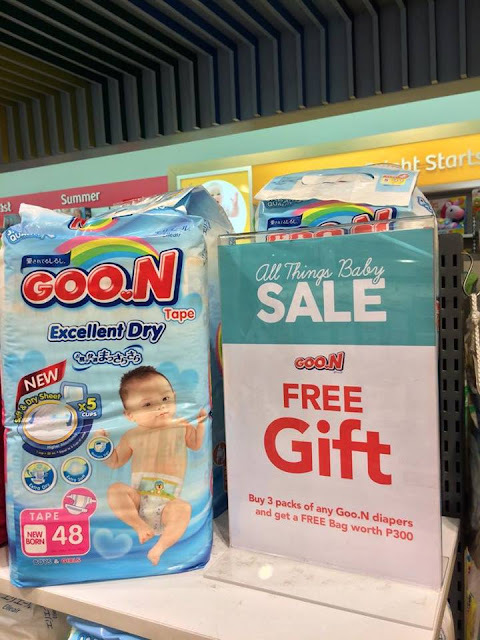 Goo.n diapers, a leading diaper brand is now in the Philippines and look at this awesome deal; Free Gift worth Php 300.00 when you buy 3 packs! 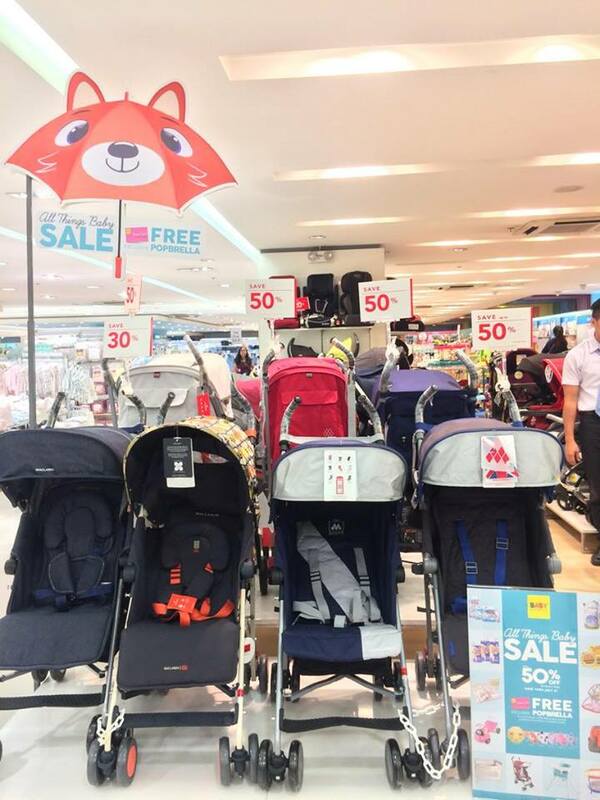 50% off on Strollers! A day out with a baby is pretty exhausting so a stroller is always a good idea. During the March All Things Baby Sale, I shared with you, my Top Picks for my mommy friends which mostly breast pumps as I am an advocate of breastfeeding. 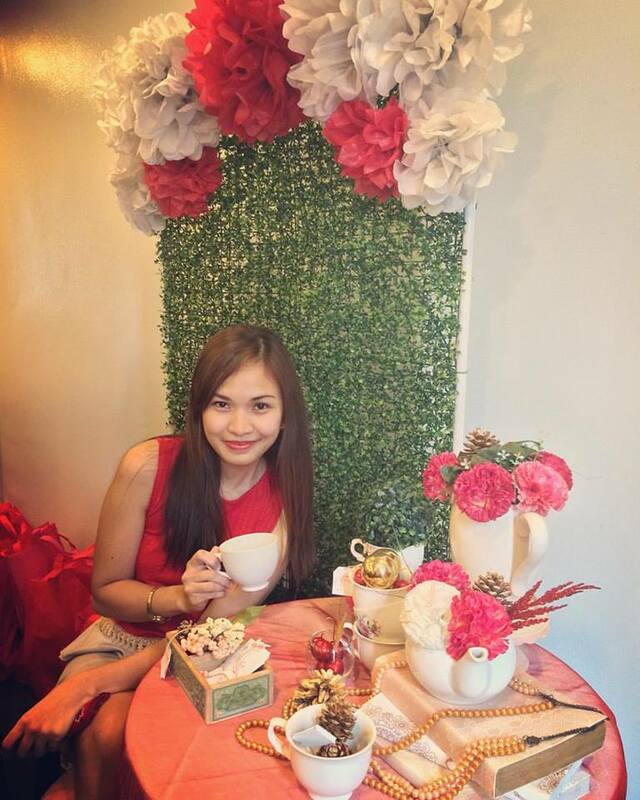 This time around, my top picks are for my kids! The bee humidifier is so cute, it's yellow so Brianna liked it a lot because it's her favorite color! Humidifiers add moisture to the air to prevent dryness that can cause irritation in many parts of the body. Humidifiers can be particularly effective for treating dryness of the skin, nose, throat, and lips. 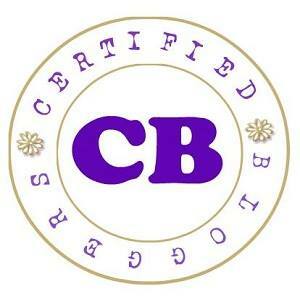 They can also ease some of the symptoms caused by the flu or common cold. 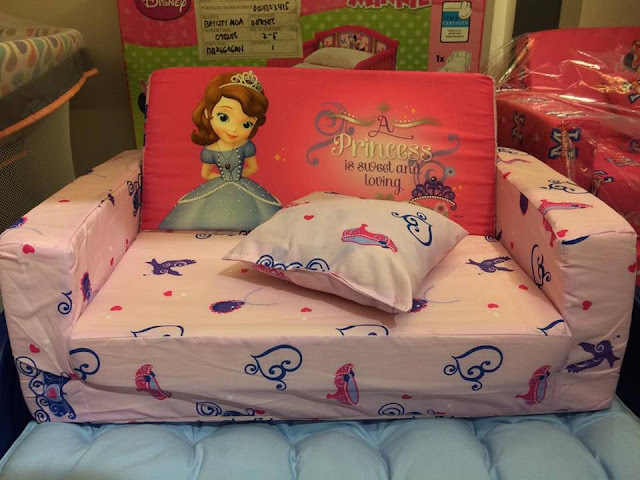 A comfy sofa convertible into a bed! I think this will solve my afternoon nap time drama with Brianna. Haha! Spotted anything you like? There's definitely a lot more waiting for you. And, of course, here's something exclusive for all "Mom Card" holders. 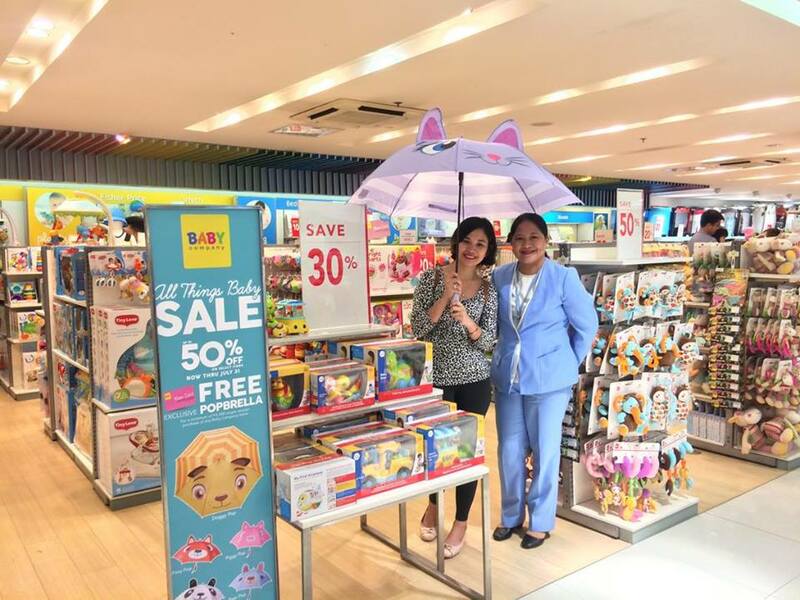 For every Php 3,500.00 single-receipt spend in Baby Company, you'll get a free Popbrella! You can choose between Kitty Pop, Doggy Pop, Foxy Pop, Piggy Pop, Panda Pop and Bear Pop. Not a "Mom Card" holder yet? 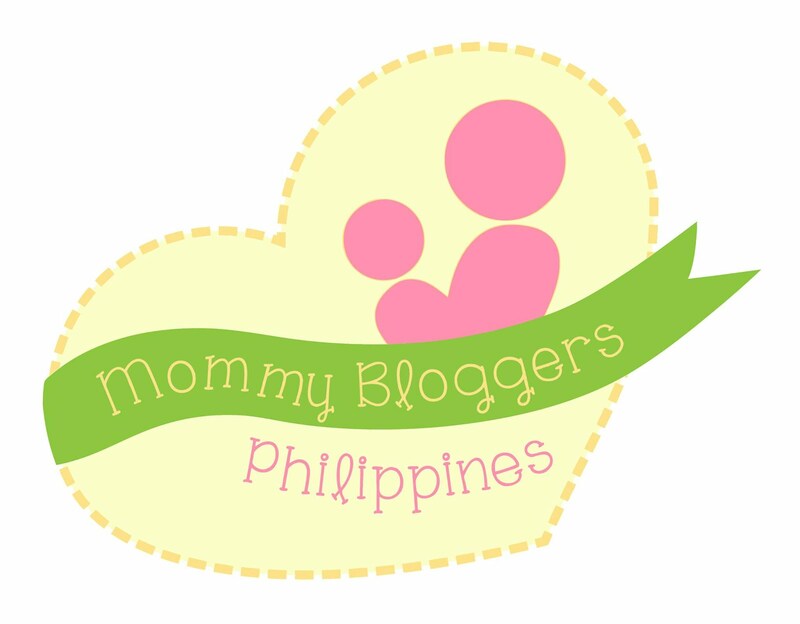 See link to know how to get a Mom Card www.babycompany.com.ph/mom-card. With Ms. Nelf, Store Manager of Baby Company in SM Mall Of Asia. 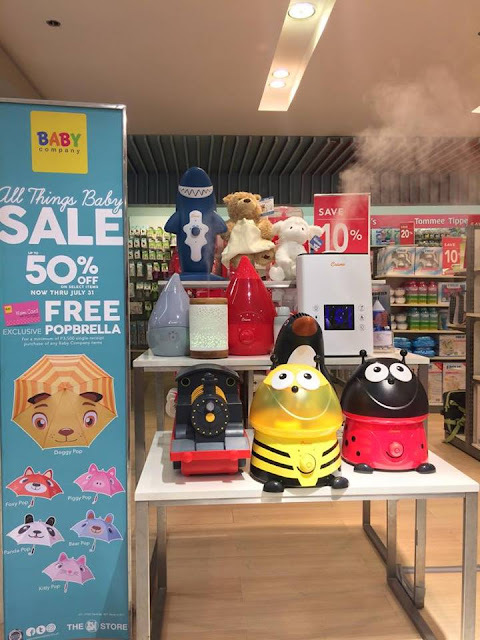 Thank you Baby Company for another round of All Things Baby Sale, this is definitely a big help for all mommies who try to get the most out of their money, just like me.